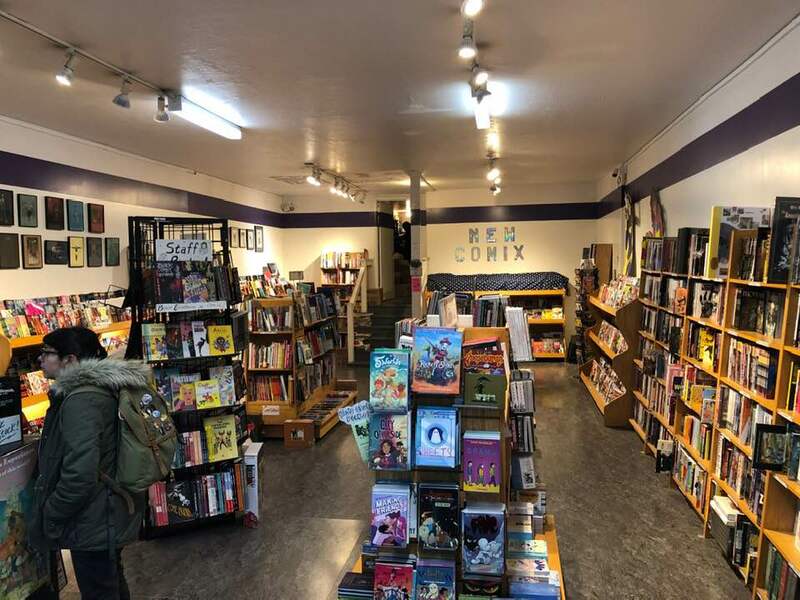 Comix Experience in San Francisco is the type of local comics shop that fans envision when thinking of their dream neighborhood. 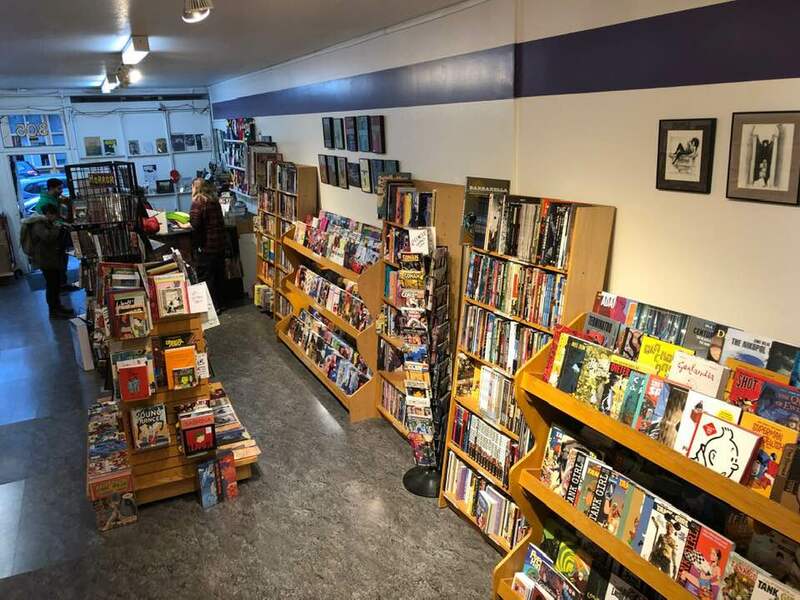 On a basic level, it’s well lit, laid out with intention, utilizes display racks as well as copious bookshelves and spinners to highlight its wide selection of new and classic titles. Since there is a hobby gaming retailer nearby, they don’t waste any space on gaming products and use that opportunity to fit even more comics in the area. The staff is extraordinarily friendly and knowledgeable. For those inclined to research ahead of time, staff profiles including favorite comics can be found on the shop’s website, making it easier to figure out whose recommendations to seek. Comix Experience is owned by Brian Hibbs, who is an active member of the comics community. He writes a regular column for The Beat, entitled “Tilting at Windmills” that has been collected into two volumes and published by IDW. Brian has sat on the CBLDF Board, judged the Eisner Awards, and is one of the founding members of the ComicsPRO Board of Directors. And it is not just limited to San Francisco locals. Anyone can subscribe and opt to have their books shipped to them. So if you don’t have your own LCS, or maybe you’re interested in interacting with other people in the comics community – you can join in each month from the comfort of your own home. Also, anyone (not just subscribers) can access an archive of past creator talks on their website. They have conversations with Tillie Walden, Jillian Tamaki, Jeff Lemire, Nate Powell, Neil Gaiman, and far too many more to list here. 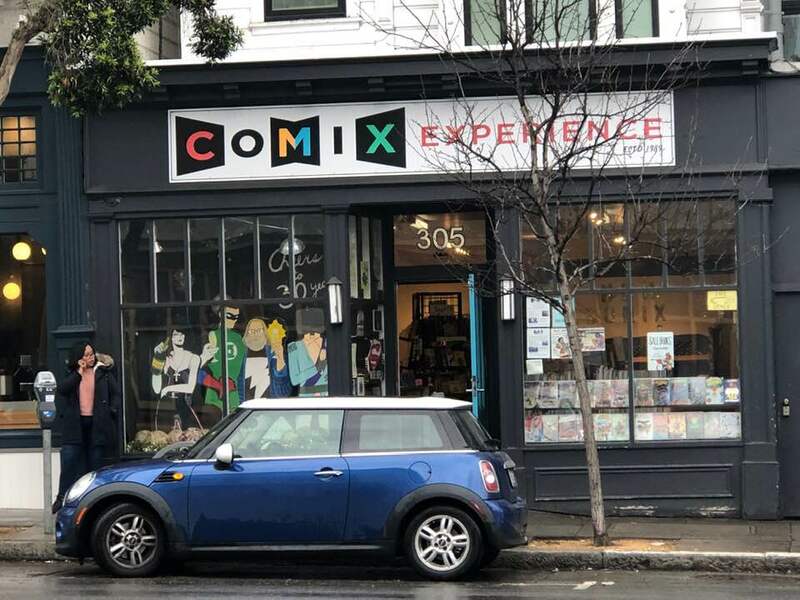 If you are in the San Francisco area though, or you’re planning a trip there in the future, going into Comix Experience is an experience you can not miss. 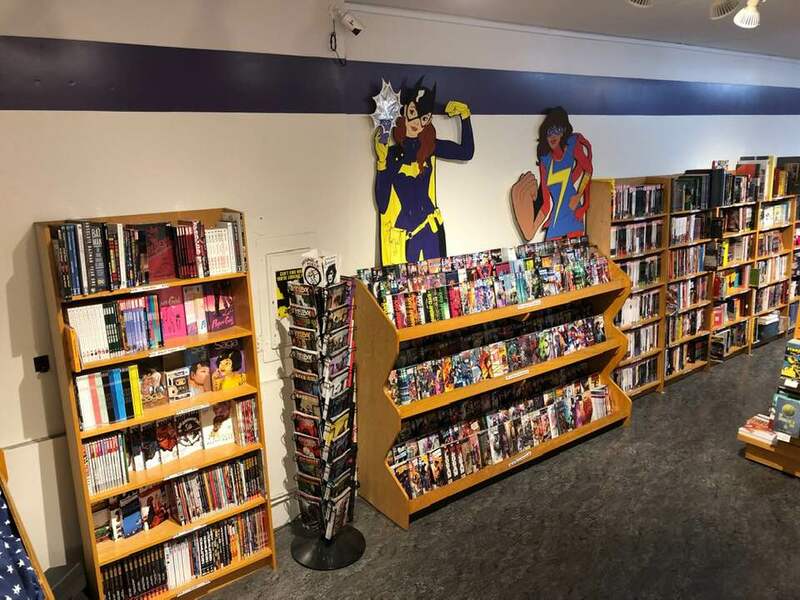 In the well-organized space, you can opt to browse by age range or genre, with sections for manga, horror, new comics, teen, and more. They utilize endcaps and spinner racks to display highlighted works and offer rotating selections of staff picks. 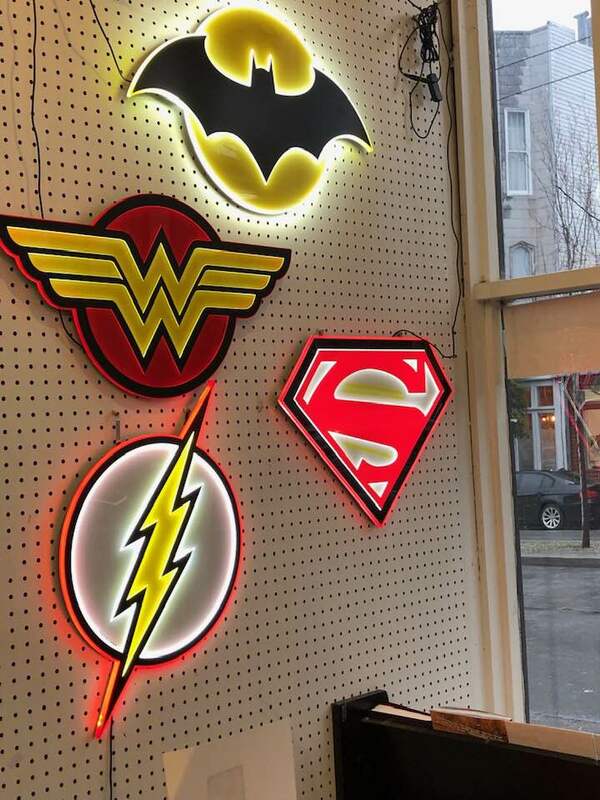 It isn’t just about the books though, the store itself is an interesting piece of art. 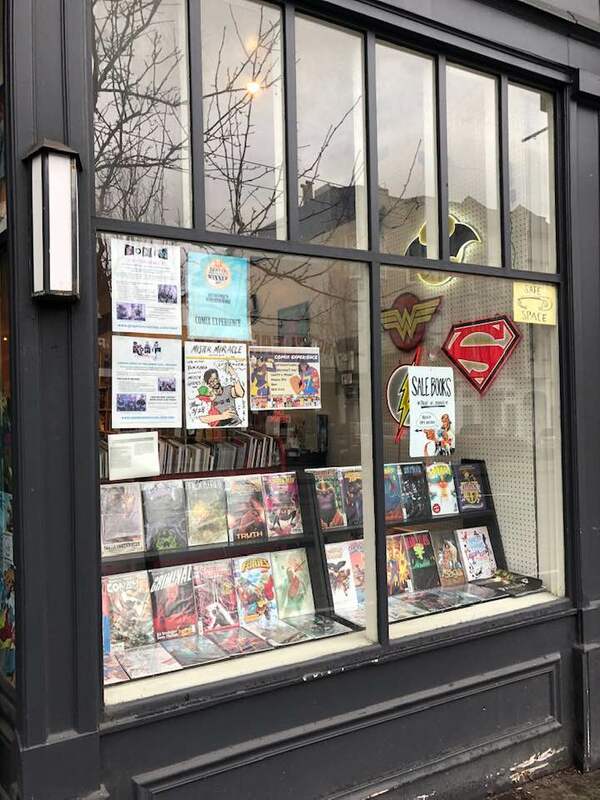 The front window is regularly redone to coordinate with signings, new releases, and other major events in the comics realm. You can check out a scrolling slideshow on their website of past windows. 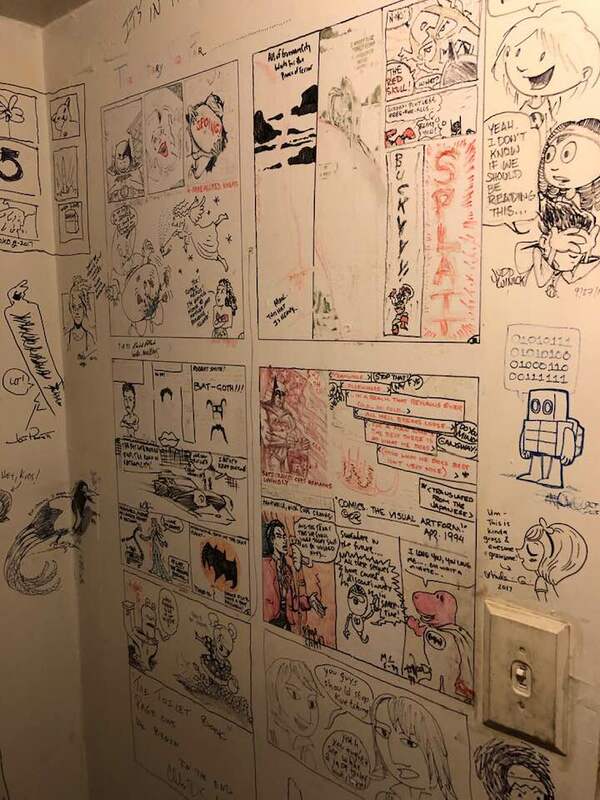 Even the bathroom is covered in the loving graffiti of creators who’ve come by to talk or sign. Since Comix Experience first opened their doors on April 1, 1989, they’ve been an exemplary model of positive involvement in the comics community and a beacon to passionate readers with a multitude of interests. Congratulations to Brian Hibbs and the whole staff of Comix Experience on thirty years of retailer excellence and here’s looking forward to thirty more! 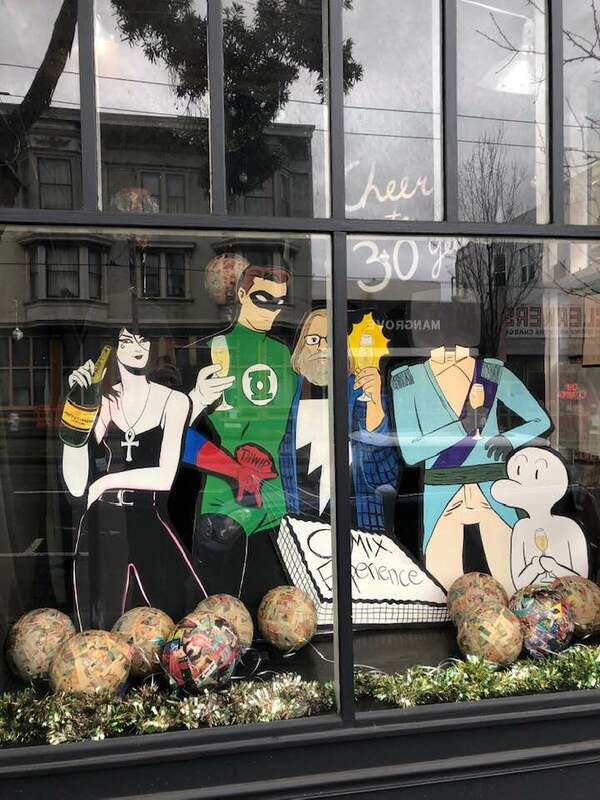 If you happen to be wandering around San Francisco today, both Comix Experience and Comix Experience Outpost are offering 30% off in celebration of their anniversary. Make sure to drop by and get yourself something to commemorate the occasion.